As waves of protest continue to rock Sudan, the nation’s army has issued a declaration stating that it would not allow the state to collapse in the wake of widespread civil unrest. The current protests originated in mid-December in Atbara, a city in the River Nile state, after president Omar al-Bashir eliminated wheat and fuel subsidies at the encouragement of the International Monetary Fund. When prices soared, Atbara residents initiated peaceful demonstrations that triggered a nation-wide reaction. Now, the protests have spread to 15 of Sudan’s 18 states, and demands have morphed from calls for economic assistance to the ousting of the Bashir regime altogether. The country has long suffered under stifling economic conditions, especially in the face of harsh American sanctions, which Bashir blamed for the country’s poor economic growth. When those sanctions were lifted in 2017, domestic and international experts expected an economic windfall and a dramatic decrease in poverty. Instead, the country now has the second highest inflation rate in the world, at a whopping 122 percent, and has seen little meaningful change in economic prosperity for most of its citizens. Chronic cash shortages in Khartoum make it even harder for most Sudanese to contend with soaring prices. Sudan is no stranger to system-changing protests. In 1964, a series of protests and strikes pushed out President Ibrahim Abboud, himself in power as a result of a coup he staged against the former democratic government. The uprisings, dubbed Sudan’s “October Revolution,” took place after regime-backed law enforcement stormed a university building in search of dissenting students. Two decades later, current president Bashir came to power through a bloodless coup in the midst of a brutal civil war. In 30 years of presidency, Bashir has faced a number of protests and strikes, most notably in 2013 and 2016, when prices for fuel, food, and medicine saw sharp increase. So far, Bashir has managed to maintain his power despite popular backlash. Some predict, however, that these protests will be different from previous ones. For one, they are more widespread and have lasted longer than any protests since the country gained independence in the 1950s. “We are witnessing the longest and strongest protests in Sudan’s post-colonial history,” University of Khartoum professor Nasredeen Abdulbari wrote. The protests are also primarily youth-driven. The average age of protesters has been between 17 to 23 years old, according to Al Jazeera. Furthermore, waves of protest have spread from the country’s more marginalized periphery into its more powerful urban areas. This is a distinct change, as historically most of the country’s protests have originated in Khartoum and were led by elites and intelligentsia. 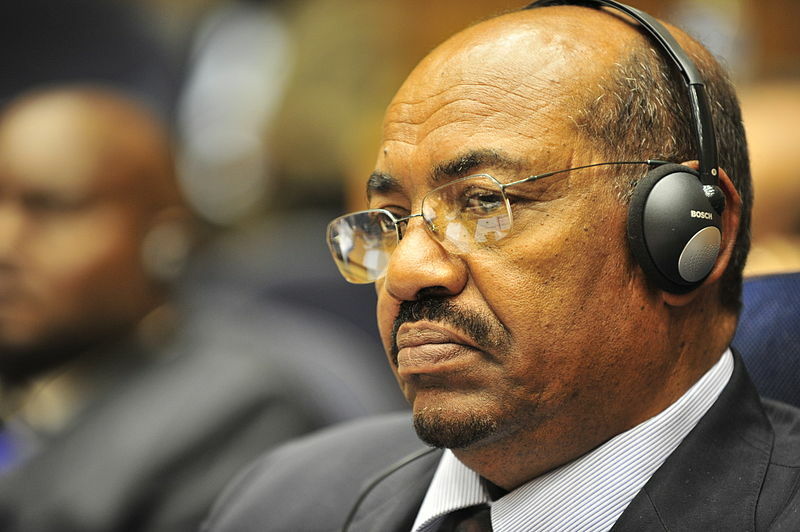 Bashir agreed on April 10, 2018 to release all political prisoners in an apparent attempt to quell claims of human rights fouls leveled against his regime. It is estimated that 45 people so far have been killed in the protests. Whether such strategies will allow him to hold power in the face of widespread and determined opposition remains to be seen.